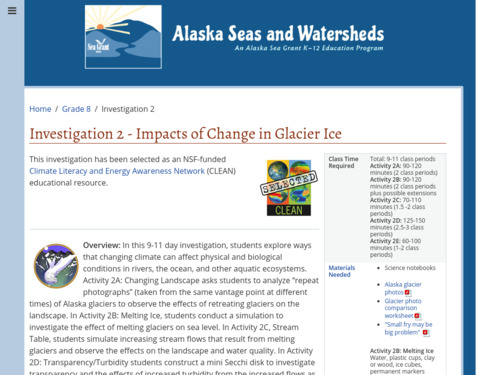 This is a five-activity module that explores the evidence for and impacts of melting glacial ice, with resources from major institutions and scientists who study glaciers -- primarily in Arctic areas. The suite of activities includes both glaciers and melting ice, as well as the impact of melt water downstream. Each activity follows the 5E model of Engagement, Exploration, Explanation, Elaboration, and Evaluation. This teaching activity addresses environmental stresses on corals. Students assess coral bleaching using water temperature data from the NOAA National Data Buoy Center. Students learn about the habitat of corals, the stresses on coral populations, and the impact of increased sea surface temperatures on coral reefs. 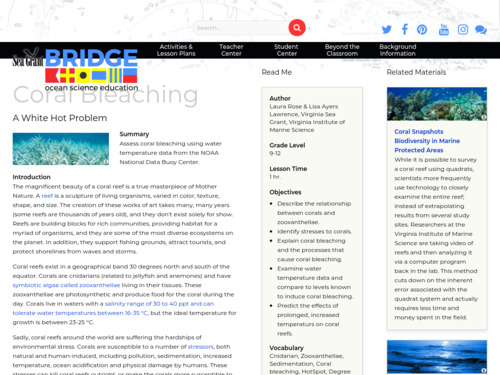 In a discussion section, the connection between coral bleaching and global warming is drawn. 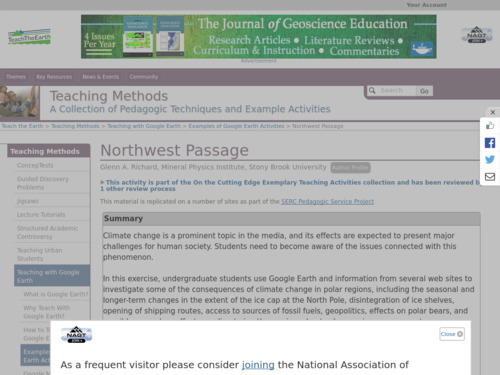 In this activity, students use maps and data to learn about where and how hurricanes form and possible correlations with climate change affecting their strength. 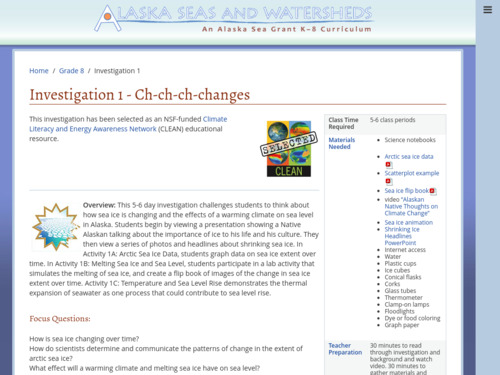 This activity engages learners in exploring the impact of climate change on arctic sea ice in the Bering Sea. 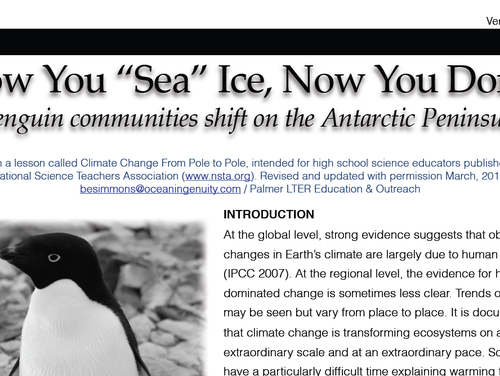 They graph and analyze sea ice extent data, conduct a lab on thermal expansion of water, and then observe how a scientist collects long-term data on a bird population. This activity identifies and explains the benefits of and threats to coral reef systems. 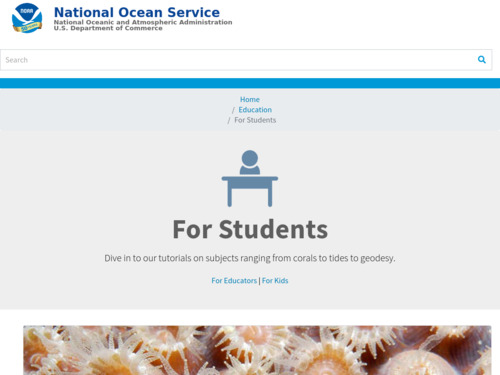 Students read tutorials, describe the role of satellites, analyze oceanographic data and identify actions that can be undertaken to reduce or eliminate threats to coral reefs. 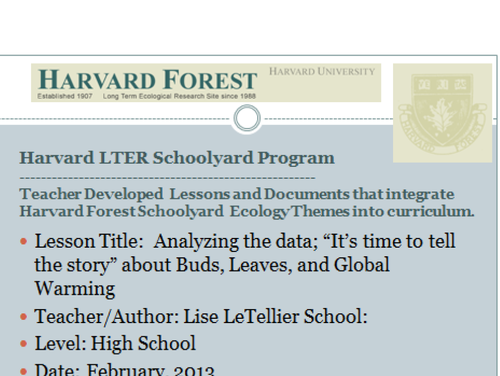 As a culminating activity, students prepare a public education program. 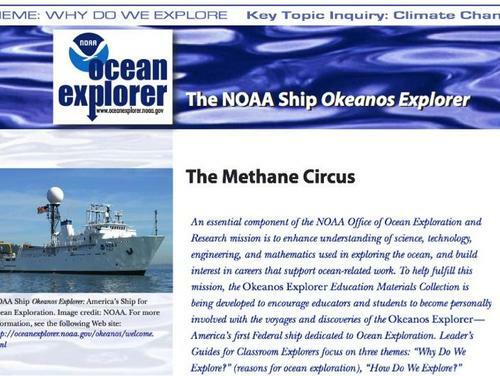 In this activity, students use Google Earth and information from several websites to investigate some of the consequences of climate change in polar regions, including the shrinking of the ice cap at the North Pole, disintegration of ice shelves, melting of Greenland, opening of shipping routes, effects on polar bears, and possible secondary effects on climate in other regions due to changes in ocean currents. 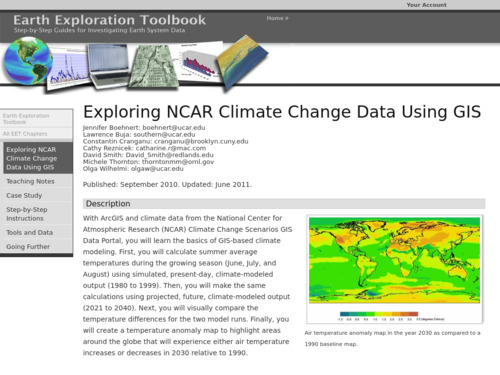 Students learn to use satellite and aerial imagery, maps, graphs, and statistics to interpret trends accompanying changes in the Earth system.